Mix 'em, match 'em and collect 'em all! 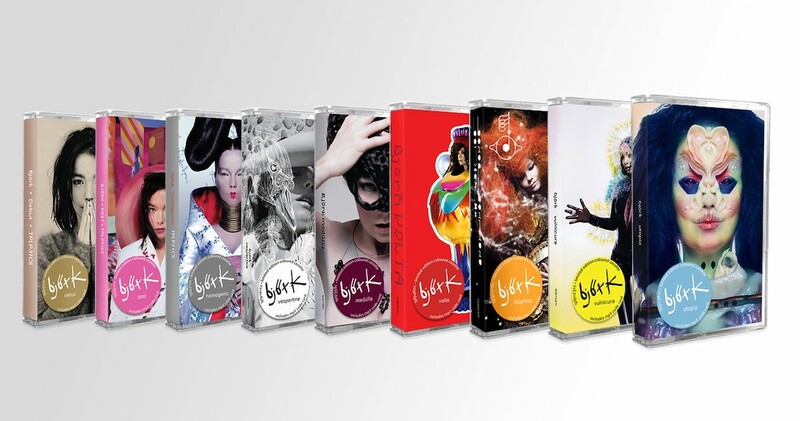 Björk is joining the cassette revival. The cult Icelandic avant-pop musician took to twitter to announce a complete reissue of all nine of her celebrated albums on multicolored tape. Debut, Post, Homogenic, Vespertine, Medulla, Volta, Biophilia, Vulnicura, and Utopia will all be available via cassette on April 26. Pre-order the cassette bundle via One Little Indian here. And relive one of Björks celebrated VR videos below.